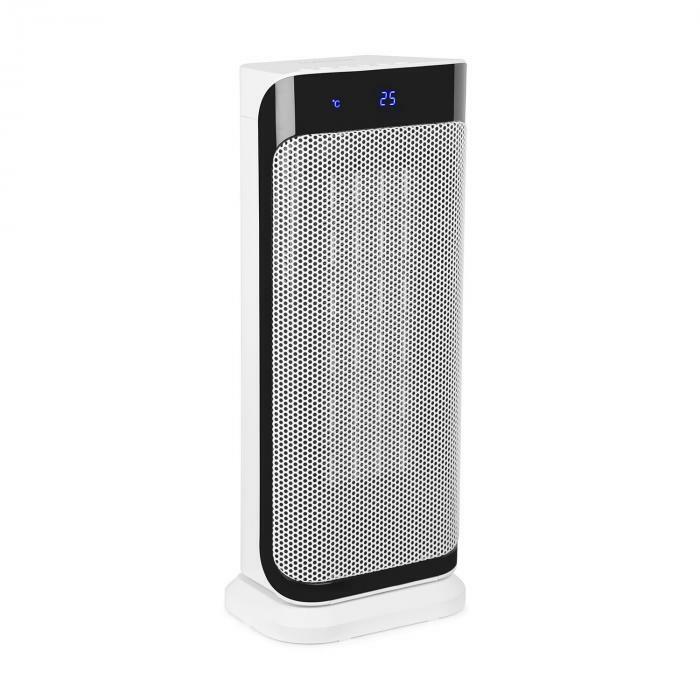 Compact radiant heater with 2 power levels and max. 2,000 watts of power. Convenient remote control for comfortable operation from the couch or bed. Your little friend in winter! 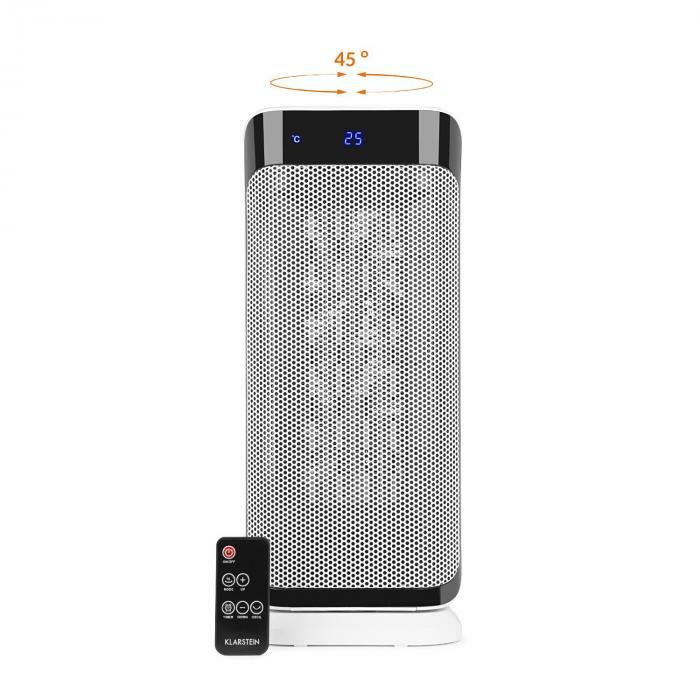 This compact heating tower can be comfortably controlled from the bed or couch by remote control and ensures pleasant temperatures in the cold seasons. 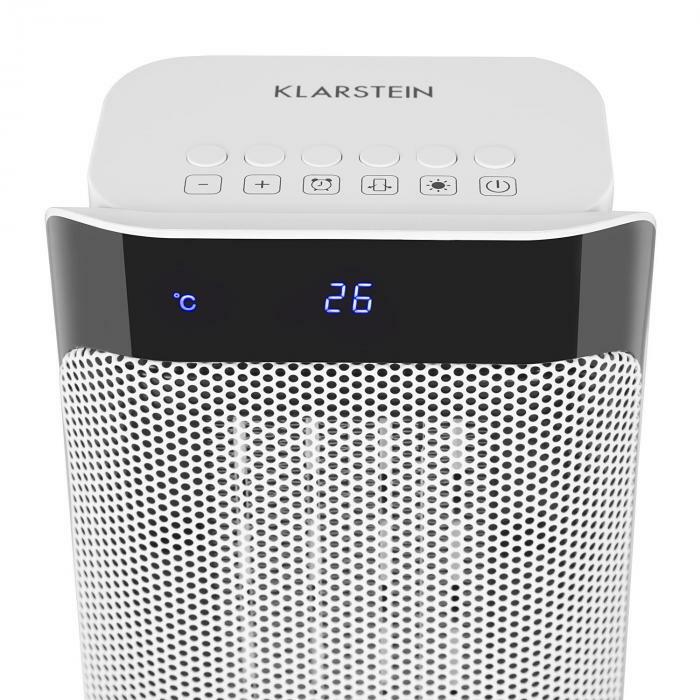 The powerful Klarstein Chaval heating tower ensures warmth on cold days and nights at any time. With 1,000 or 2,000 watts in 2 power levels, it operates built-in to individual heat requirements: the integrated thermostat is set by means of an infinitely variable temperature controller and ensures intelligent control of the device. 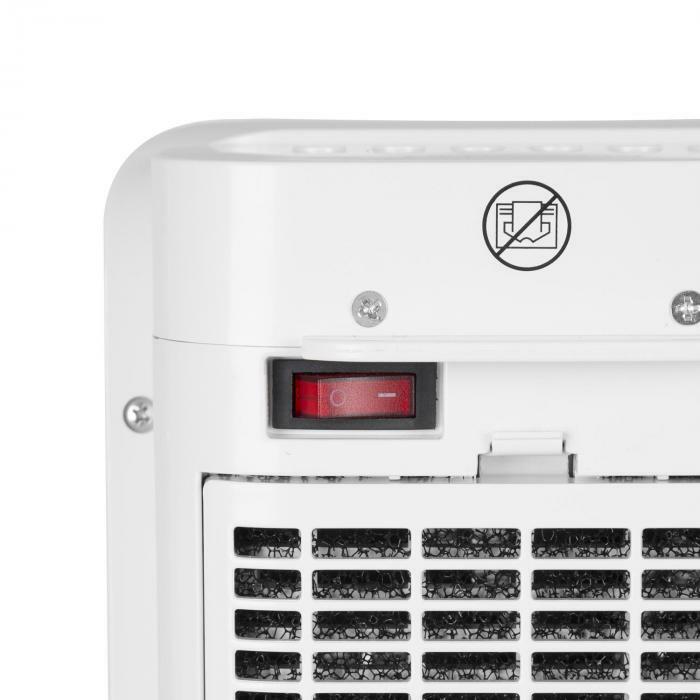 As soon as it has reached the desired temperature, the heater switches off and resumes operation again when the temperature falls below the desired level. This saves money and prevents overheating. In addition to the thermostat, the small Chaval has a timer-controlled automatic switch-off. A switchable swivel movement helps with the rapid spreading of the heat. 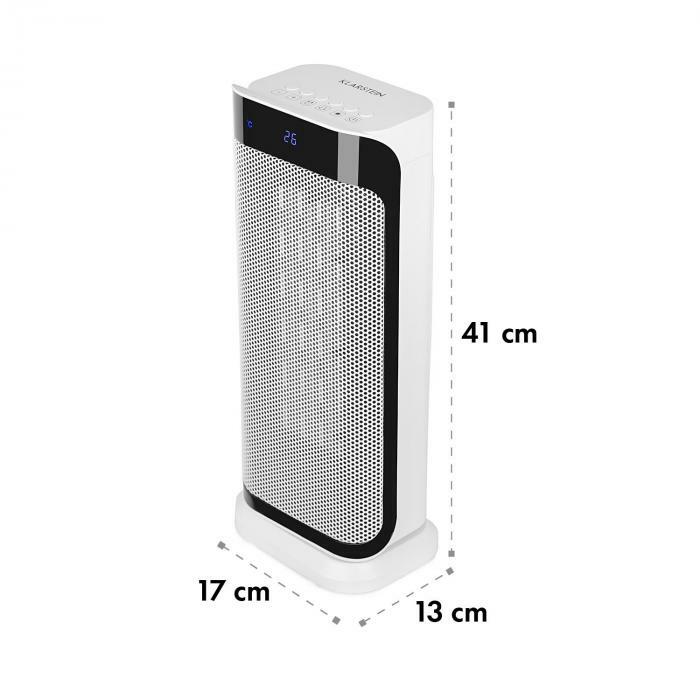 For convenience, all the controls of the compact heating tower can be found on the practical remote control. Thanks to its light weight and carrying handle, the Klarstein Chaval fan heater can be used everywhere where fast heat is required. Be it in the living room or bedroom, the hobby room or the garage - the Chaval is always there for you. Thanks to a tilt switch-off which turns off the heating tower if it should tip over, as well as an overheating protection, the Chaval is a safe companion on cold days. 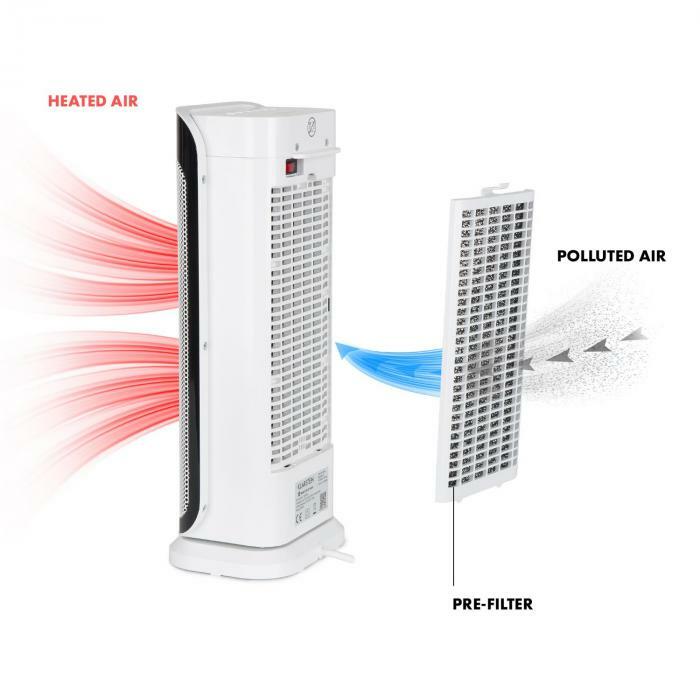 Thanks to the clear design, the heater can be easily installed in almost any residential and office environment. Due to the materials used - metal and plastic - it is very sturdy and can be cleaned quickly if necessary with a cloth or the brush attachment of a vacuum cleaner.